​His first published work in 1970 was a series of four travel articles in the Portsmouth Evening News based on wanderings in the Americas. Another publication was a history of Holyport and local cricket in Berkshire (now in the library at Lord's). He has had a number of poems published by the Poetic Republic (two being short listed for prizes) and also several poems in South poetry magazine as well as Home Counties Poets and Rhyme and Reason. For the past ten years he has been a member of Temys Poets. For several years he has been a regular reviewer for South magazine. 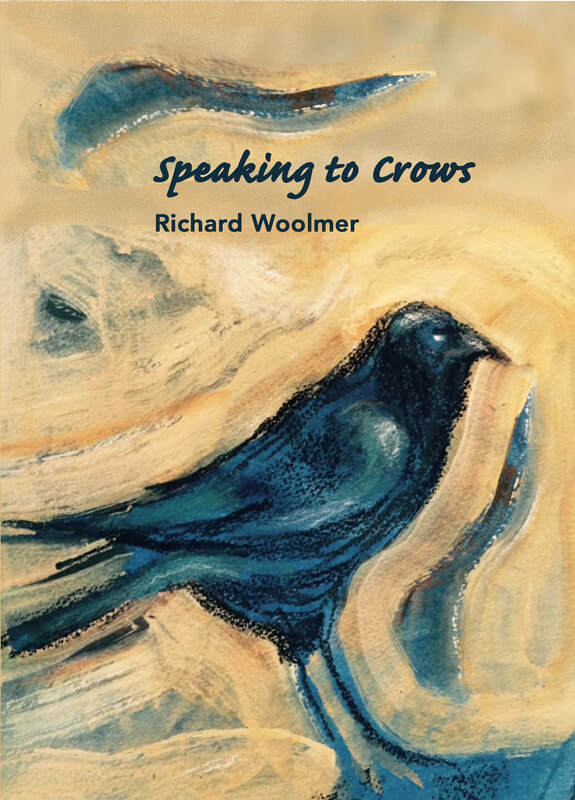 ​Speaking to Crows is Richard Woolmer's debut collection, which will be published in January 2019. Richard's gentle humour and irony illuminate issues and episodes in his own life and that of historical figures and issues with a light, very English touch. Much of the book is set somewhere between dream and reality — a world seen through a prism of benign, surreal humour, reminiscent of the best Lear and Carroll. Here an assortment of characters, ranging from an English King, President Trump and the Rev. Spooner rub shoulders with ashes in an urn, a fan of an unfashionable football team, a TV weather girl and a besmirched statue. Prince Harry puts in an appearance as does the Bayeux Tapestry and the notorious “Uritrottoir” of Paris. This is a wonderful first collection introducing a unique new voice — I thoroughly recommend it!"